neomam is a creative content marketing agency that guarantees links with every visual content campaign. their mission is to create branded content that people will want to share. when humanity ascended from darkness and lit up the world by mastering the art of fire, the course of history changed. technology has always been at the forefront of evolution, allowing us to showcase some of our species’ important characteristics: drive, ambition and creativity — some of which are exemplified through the grandest structures in the world, like the great wall of china, the pyramids of giza, machu pichu, and the colosseum. 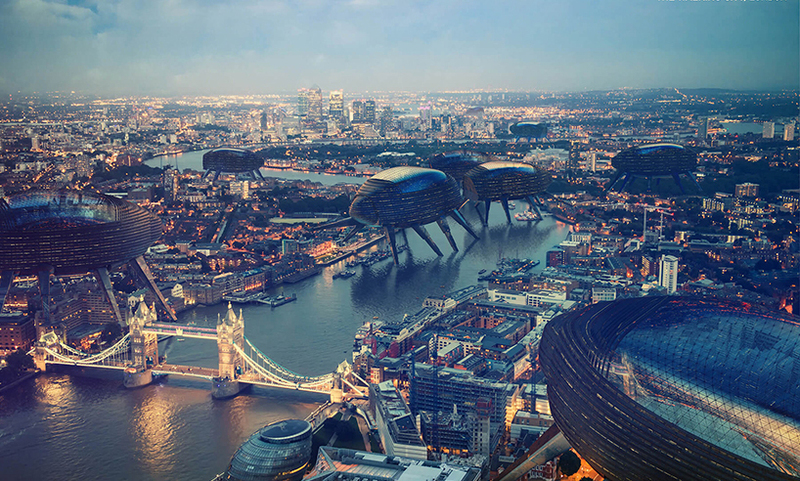 with technology advancing everyday, such as the 3D-printers now able to build concrete houses, creative agency neomam has illustrated the architectural possibilities that could have reshaped our modern cities. neomam takes us around the world to look at some of humanity’s most forefront architectural proposals with 7 renders developed for onward. in london, england, ron herron first introduced the concept of a walking city in the mid 1960s. the idea was to place legs on buildings, allowing artificial intelligence to calculate where these buildings were needed and giving them the capacity to ‘walk’ over to that location — even in a different city. however, herron’s concept was intended to exist in a world where there were no boundaries or borders, and people lived in an post-apocalyptic period where a nomadic lifestyle was again necessary for survival. across the english channel, london’s easily accessible cousin in paris, is home to the arc de triomphe, which memorializes those who fought and died in the french revolutionary and napoleonic wars, forever blistered with culture and art that provides much of the foundation of our society today. 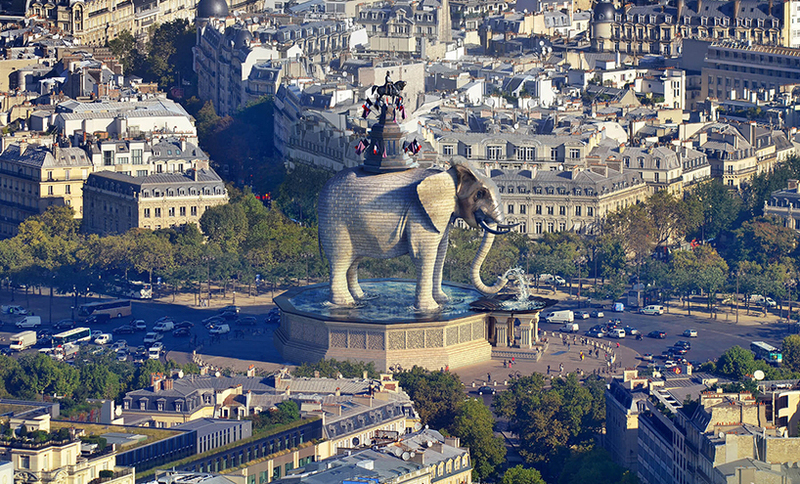 however before the construction of the arc, in 1758 architect charles ribert proposed the idea of constructing a giant elephant, with water flowing out of its trunk and music escaping from its ears via an orchestra in the ballroom inside. visitors would be able to climb the ‘pièce de résistance’ through a spiral staircase. 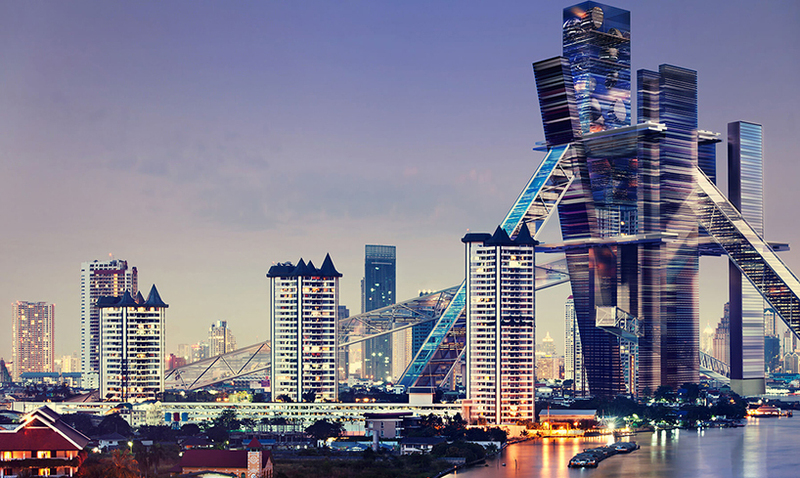 on the other side of the world in bangkok, thailand, rem koolhaas presented the bangkok hyperbuilding as a solution to earth’s increasingly concerning energy consumption and housing issue. 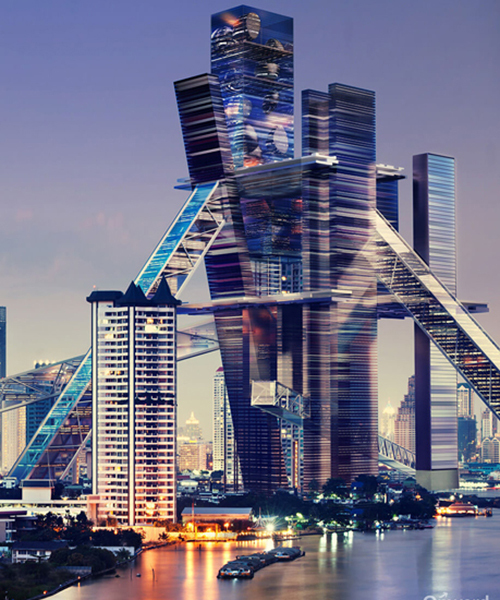 conceived in 1996, the ‘hyperbuilding’ would have the capacity to house around 120,000 people but only use around 3% of the space usually required for that mass number. the concept would also focus on introducing a variety of elements to create an ecosystem of not just restricted to housing, but also have space for workplaces, greenery, services topped off with transportation efficiency systems such as cable cars, gondolas and train elevators. 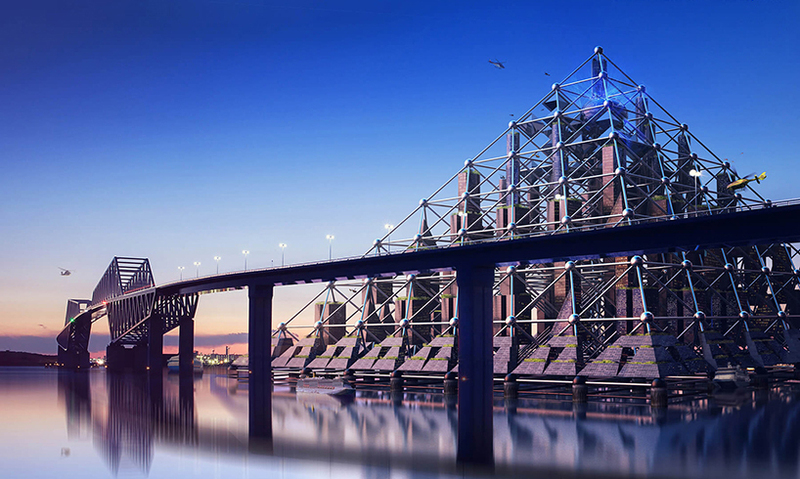 crossing the gulf of thailand, and the philippine sea, is the tokyo bay in japan, the site for the proposed largest man-made structure in the world — the shimizu mega-city pyramid. introduced in 2004, architects designed the ‘blade runner-esque’ design to withstand high winds, earthquakes and tsunamis and house over 1,000,000 people. flying over russia to its western front, st. petersburg is the site of a 400 meter twisted tower of iron, glass and steel proposed in 1919 as the headquarters for the third communist international during the soviet regime. 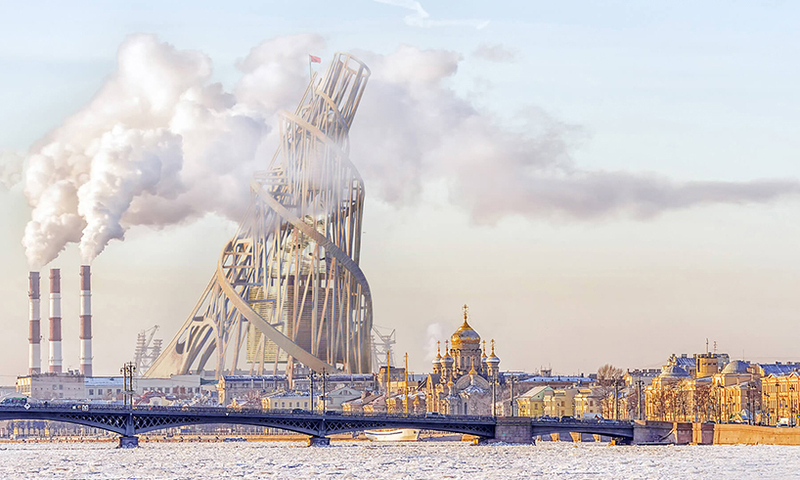 designed by architect vladimir tatlin, it was meant to be a monument that would represent everything achieved from the bolshevik revolution to what that was to come. rome, paris and london have all been the metropolitan capital of the world at one point in history. 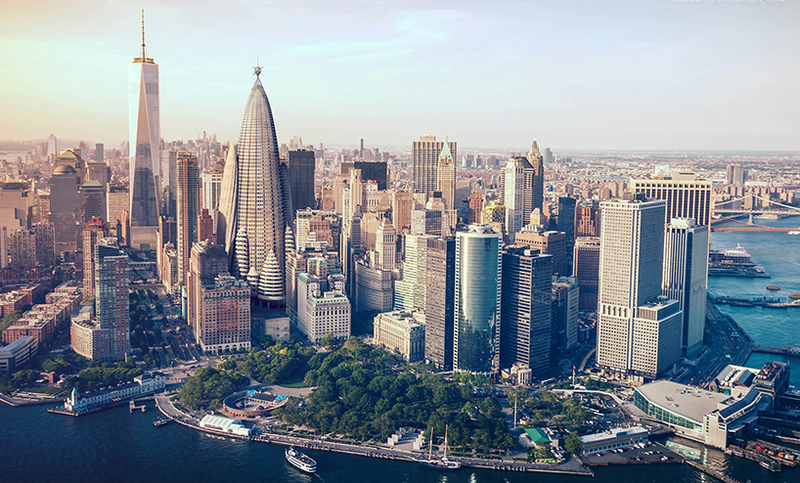 now, new york city has taken that title in modern day history — and not just because designboom has an office here — but its skyline is ever-changing with some of the most recognizable and groundbreaking buildings. naturally, the city attracts some of the most famous architects in the world, but in the 20th century, it missed out on the genius of antoni gaudi. the father of the sagrada familia, gaudi proposed the ‘hotel attraction’, which had conical towers and a star-shaped sphere becoming the tallest building in the city and unlike any of what is in the skyline today. 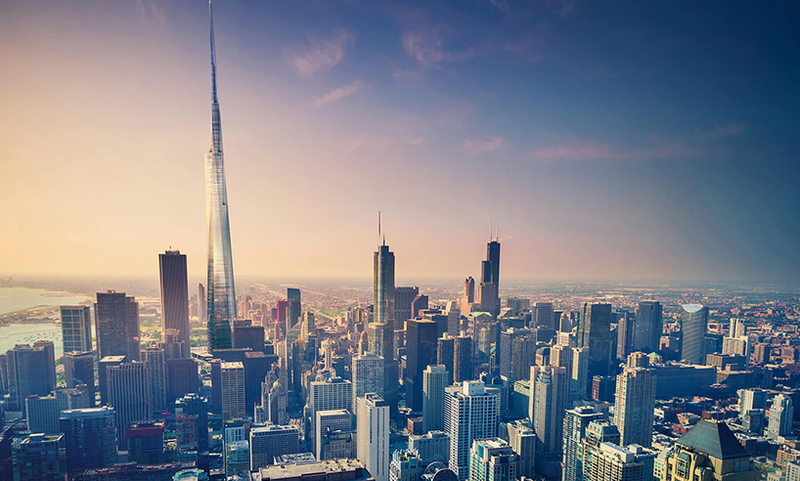 in chicago, the illinois: a skyscraper that redefines purpose was proposed in frank lloyd wright’s 1957 book, a testament. it could house over 100,000 people, with room for 20,000 cars, 180 helicopters powered by 60 mph atomic-powered elevators. if these groundbreaking designs were constructed, they would have changed the landscape of the most recognizable cities in the world and the direction of architecture, making them some of the most innovative concepts that showcase human ingenuity and capability to think beyond our age.